In a medium soup pot on medium-high heat, add just enough olive oil to coat the pan. Once hot, add the ground beef and brown the meat, while breaking the meat up with a wooden spoon. Season with salt and pepper and cook for about 5 minutes. Add the onion and spice packet and cook until onions begin to soften, about 5 minutes. Next, add in the beans, tomatoes and juice, Everything Spread and jalapeños. Simmer for about 10 minutes, season with salt and pepper. 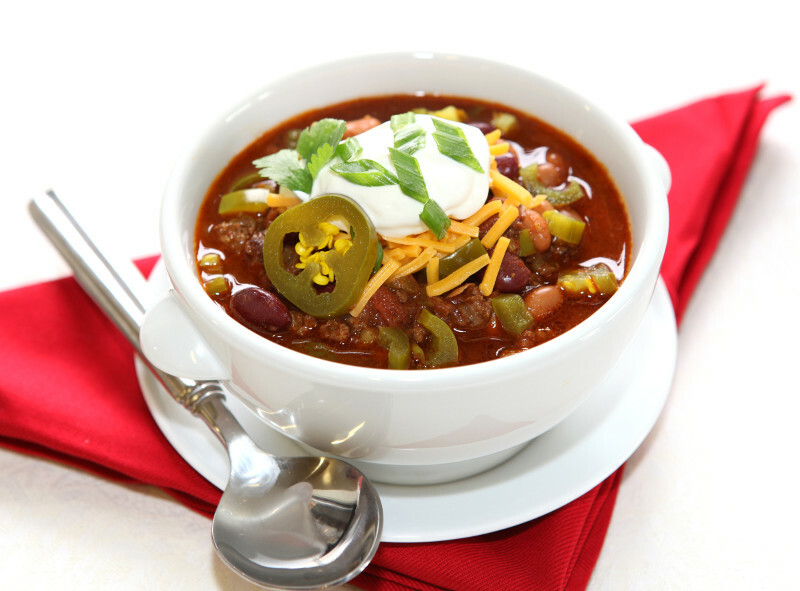 If the chili is too thick, thin it out to your desired consistency with water or chicken stock. Serve hot with Jalapeño Cornbread and toppings such as sour cream, shredded cheese, and green onion.